It is not easy for a woman to raise voice against the injustice whether she is affected herself or she has witnessed something happening to the other one of her gender. The play leaves a thought-provoking message to support the truth in all conditions, no matter how close the culprit is to you. Aired on 5th January 2019, this is a great and bold creation under the banner of the Big Bang productions. The amazing minds of Fahad Mustafa and Dr. Ali Kazmi took up this challenge. Written by Zanjabeel Asim Shah and directed by Badar Mahmood this Big Bang production became an awaited masterpiece of the small careen since the first teaser was shown on the screens in later weeks of 2018 with the theme Inkaar Karo. 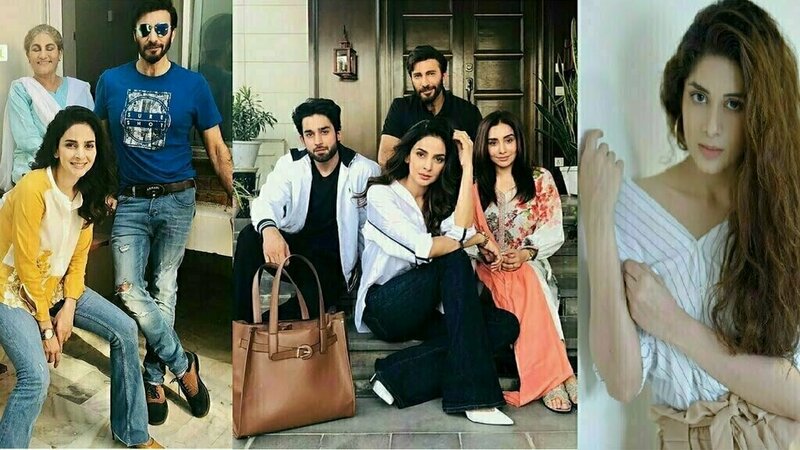 This is the theme behind this new drama serial on ARY digital starring Bilal Abbas, Ejaz Aslam, Ushna Khan and above all the multi-talented Saba Qamar. Mannat (SabaQamar) enjoys a close friendship with Haya also her husband’s younger sister (Azekah Daniel) and Nayab (Ushna Shah). Mannat is happily married to a loving and very supportive husband Shayan (Emaad Irfani). He lives abroad but is ready to support his wife in all what she does. The eldest brother in the family is Yawar (Ejaz Aslam), while the youngest is Wajih (Bilal Abbas). Wajih Falls in love with nayab and intends to marry her. It seems impossible as Nayab’s greedy stepmother has fixed her wedding with an elderly person for some coins. She is not happy with the decision and her dear friends Haya and Mannat are determined to bring her into the life of the heartthrob Wajih. The things changed when on Haya’s engagement Nayab falls from the roof of their home where she had arrived to attend the ceremony. It was suicide, but the doctors confirmed that someone tried to physically abuse her. This is where Mannat steps in and goes at all lengths to bring the culprit to the court of justice. It turns out to be a difficult thing as it involves her relations but she is determined to go at all lengths. The story is really going to be an eye opener for a society like ours where the women are forced to shut up and stay quiet in such situations to keep the relations intact. The heart touching notes of the OST further explain the war of a devoted woman who is committed to choosing between justice and the dear ones.